My apologies in advance for the abundance of La Prairie the last few months; I have a bit of a backlog right now on La Prairie product reviews. Because the products are so expensive, I did really want to make sure that we do a good test of everything before I write about it. I am super excited to share with you this story that I’ve been working on for a while. 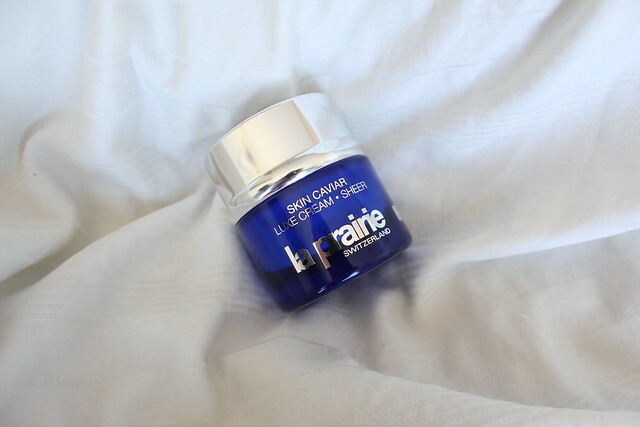 This is actually the first part of my two part La Prairie Skin Caviar series because as I was working on this story, La Prairie actually reformulated their Luxe Cream using Caviar Premier, a new generation of their Caviar Extract. I will be writing about their new Luxe Cream, as well as the new Caviar Premier, in a separate post. 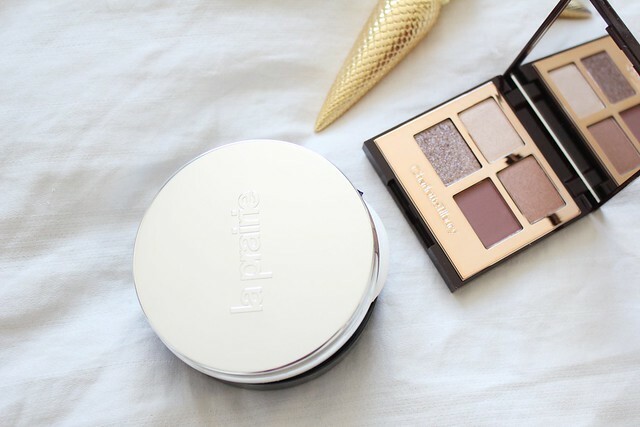 Basically about two Christmases ago, I received a beautiful La Prairie gift from the PR team containing their signature Skin Caviar products – the Skin Caviar Liquid Lift, the Luxe Lift Eye Cream, and the Luxe Cream. As the good daughter that I was / trying to be, I gifted this entire package to my mother in hopes that it would make a bigger difference on her skin (which then I would document and review for you on her behalf) than on my own. As the good frugal Asian mother that she is, she saved this package for a year and didn’t want to open it because it was so luxurious, until I told her that products expire so please use it. Anyways, finally she started using it about nine months ago and she is absolutely enamoured with the products. The Skin Caviar Liquid Lift (C$730 for 50mL) is one of La Prairie’s most iconic products. 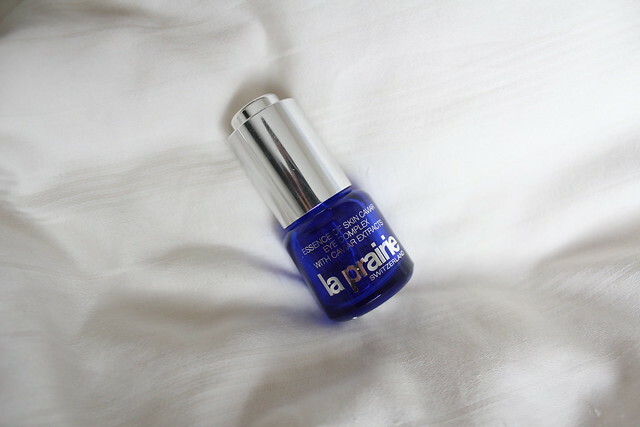 Housed in a beautiful blue bottle with a clear glass window that showcases this amazing caviar essence, it is quintessentially what La Prairie is all about. This is my mother’s favourite product out of all the three – the product has helped her significantly firm and contour her skin. Her skin texture also showed improvement, smoothing her lines and pores. She freaked out a bit at the price when I told her, but she said she will likely repurchase because it is that good. Even though it is a serum, it does come in a very generous 50mL bottle (most serums are 30mL) so if you think of it like that, it’s actually not bad value. The Skin Caviar Luxe Lift Eye Cream (C$455 for 20mL) is an ultra luxurious eye cream that helps to firm and lift the eye contour area. Like the Skin Caviar Liquid Lift, this has been very effective at keeping my mother’s eye area looking fresh, hydrated, and smooth. The texture of the cream is rich but not heavy, a little tiny bit goes a very long way and the jar will last 4-6 months. She said that she really likes this but it’s not such a huge difference compared to other eye creams such that she would definitely need to repurchase. Similar to the Liquid Lift, the value is actually not bad because you receive 33% more product compared to other eye creams. Lastly, the Skin Caviar Luxe Cream (C$600 for 50mL) is another classic La Prairie product, claiming to increase the skin’s firmness and elasticity, as well as smooth skin texture. This was the second favourite of the three products that my mom tried. She said that the texture was very rich and moisturizing, helping to fill in a lot of her fine lines and wrinkles, and also prevented new ones from forming. She used this morning and night, and said that a little bit goes a very long way (she’s still working her way through the last bits in the jar!). While she said this wasn’t as effective in firming and lifting as the Skin Caviar Liquid Lift, it still slightly firmed her skin and also prevented further aging. Over the nine months that she was using this, I saw a significant improvement in my mom’s skin texture, brightness, and overall look. Her skin was brighter, firmer, more lifted, and more even-toned. I also saw a reduction in her fine lines. 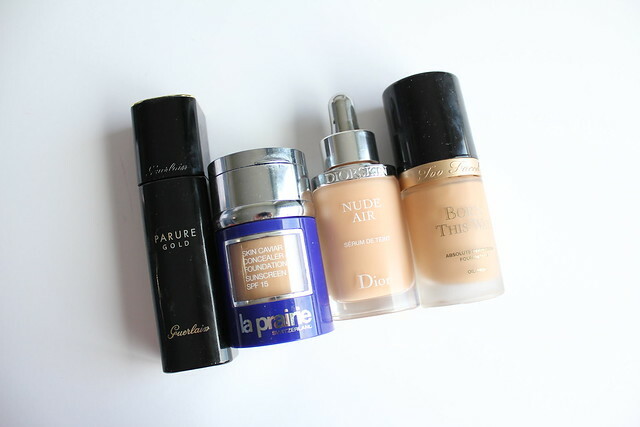 My mother has been using luxury skincare pretty much all her life (think Dior, Shiseido), but we saw the biggest difference and improvement with the La Prairie products. Even though I did gift these products to my, I truly believe that anti-aging starts at any age. It is much easier to keep your skin smooth than to try to fix any wrinkles and fine lines later on. Think of your skin like a fresh sheet of paper – once you scrunch it up, it’s impossible to revert back to 100% smooth. Hope this was a helpful review! Like I mentioned earlier, La Prairie recently reformulated their Skin Caviar Luxe Cream using Caviar Premier, a new generation of their patented Caviar Extract. 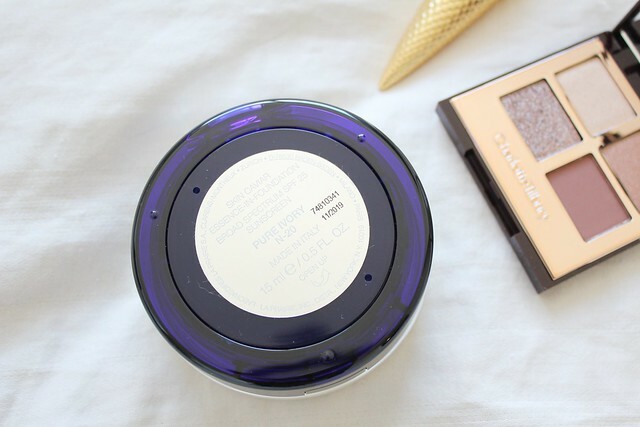 I’ve been testing out the Luxe Cream Sheer (a lighter version of the Luxe Cream) and hope to have a review of this for you soon. So far only the Luxe Cream, Luxe Cream Sheer, and the Skin Caviar Luxe Sleep Mask have been reformulated with the Caviar Premier, but hopefully we’ll see this trickle down into other Skin Caviar products as well. 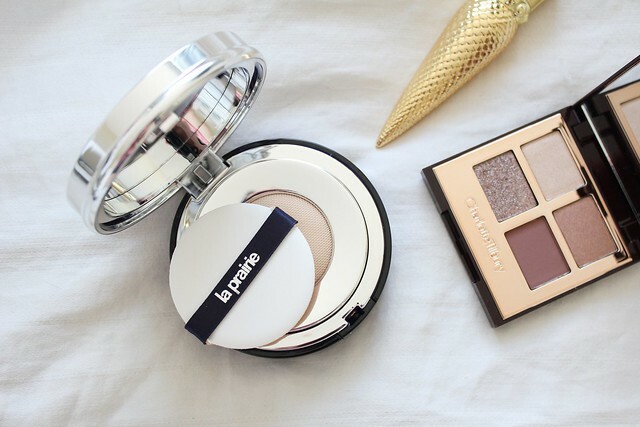 You can pick up all of these products, as well as other La Prairie products, at Holt Renfrew. Products received as a gift from PR; all opinions are my own. Essence lotions have been in Asian skincare for as long as I can remember. Back when Western skincare brands were heavy on the alcohol-rich astringent-type toners, Asian skincare was all about that enriched essence water. Long story short, an essence lotion (or essence water) is basically a supercharged, nutrient-dense watery serum. There are a ton of them on the market, but the most famous one is the SK-II Facial Treatment Essence. In recent years, a lot of Western brands have also started to release more of these essence lotions, or global brands have started to bring their previously Asia-exclusive essence lotion products to Western countries. What makes these different from an acidic toner (such as Pixi Glow Tonic), is that in general essence lotions tend to be more on the hydrating side, and you also are encouraged to apply this by patting it into your skin with your palms rather than using a cotton pad. In terms of how to fit this into your usual skincare routine, generally you want to use the lightest/most watery products first in your routine. I use my essence lotion after cleansing and after my exfoliating toner (such as the Pixi Glow Tonic), or to replace my exfoliating toner. Then I apply my serums and moisturizers, and sunscreen during the day. You can use essence lotions during the day and at night, and I love it for both. Tatcha The Essence (C$114 for 150mL) was probably one of the launches by the brand that I was the most excited about. It contains 98.7% of Tatcha’s proprietary blend of Japanese superfluid made with green tea, rice, and algae. It is marketed as a skin plumping skin softener, which is a very Japanese skincare concept. I’m not sure if it was the hype or how much I was looking forward to this, I was actually just okay about it. It is completely scent-free, which I appreciate in the morning when my senses are just waking up, and it does do a pretty decent job at hydrating and softening my skin, in preparation of the next steps. That being said, for something to be called an essence, I expected a bit more than just basic hydration. I didn’t notice that it did anything to help smooth fine lines or firm my skin over time. It’s decent, but didn’t blow my socks off. The La Prairie Skin Caviar Essence-in-Lotion ($330 for 150mL) contains primarily Caviar Water, which is active water infused with Caviar extracts. This is the thickest of all the essences here,it felt more like a light serum than a water essence. It used this on a trip to Toronto on a cold spell and I was very happy to say that it kept my skin feeling very hydrated, plump, and smooth. My skin was also smoother and more radiant after a few weeks of using this. That being said, it has a super strong scent that is very fragrant. I generally love La Prairie’s scents but this one seemed too potent and was a bit bothersome after a while. It does work, so if you are able to stomach the strong scent (and the price), then I would recommend this. Newly released last year from Omorovicza is the Omoressence (C$150 for 100mL), a product developed in collaboration with a Hungarian Nobel-prize winning lab. This product contains primarily Hungarian Thermal Water, which will help to balance, hydrate, and prepare the skin for other products. It also helps to guard against environmental stress throughout the day. I love the way it smells, very fresh and energizing. I also love that it’s very nicely hydrating and helps to smooth my lines. It leaves my skin feeling moist, which is what I want after using an essence, and then other products cling onto it for better absorption. I’m a little bit disappointed that the bottle is a bit smaller than I was hoping – it comes in only a 100mL size, compared to other essence lotions which tend to come in bigger sizes. An oldie but serious goodie is the Kose Sekkisei Lotion (C$57 for 200mL) and the Sekkisei Enriched Lotion (C$77 for 200mL). These were one of the first essence lotions that I was ever exposed to, so I’m very happy that they are now available in Canada through Shoppers Drug Mart. These lotions were designed by the Japanese to create luminous, smooth skin. I use this as a toner at night because its not the most hydrating of essences. It contains quite a bit of alcohol, which may not be great for sensitive skin folks. It does a fantastic job at keeping my skin clear, even-toned, and also improving brightness. I’ve also previously reviewed the Tata Harper Concentrated Brightening Essence, Pixi Glow Tonic, as well as some essences in spray form. Do you use essence lotions in your routine? Which ones are your favourites? Product received as PR samples for review consideration; all opinions are my own. When I was in New York, I paid a visit to the PR office of one of my favourite beauty brands – La Prairie. There, I was introduced to three new Skin Caviar products released recently to lead up to the 30th anniversary of La Prairie Skin Caviar. The first, Skin Caviar Absolute Filler is a skin plumping moisturizer that’s used as the last step to your skincare routine, before your sunscreen and makeup. It contains Caviar Absolute, a potent derivative of Skin Caviar which helps to fill in skin’s fullness, and also refine the skin’s contour. It comes in an innovative pump packaging that gives you the perfect dose, every time. 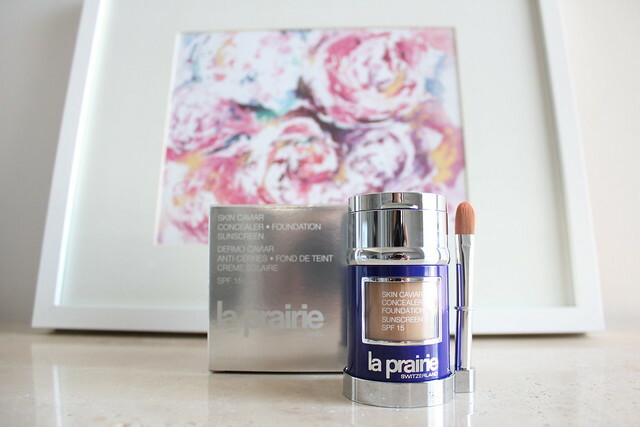 I played with the Absolute Filler at the La Prairie office, and hastily applied a layer over my makeup. I have to say this stuff is pretty amazing – it’s a light whipped texture that activates immediately to help volumize the skin and also firm the skin. I could feel my skin tightening in the mere minutes after application. Priced at C$775 for 60mL, it is pricey but definitely works. Next is the Skin Caviar Essence-in-Lotion, the first product in this category released by La Prairie. It contains primarily Caviar Water, which is active water infused with Caviar extracts. It’s a lightweight yet ultra hydrating essence water that you apply after cleansing and toning, and before serum. It helps to increase your skin’s hydration level which will also help the absorption of products applied on top of this. I had this applied on me at my La Prairie facial and it is so amazing, I love how lightweight it is and how it makes my skin feel plump. You only need a few drops of this per application, so a bottle will last you a long time. Press on your skin with the palm of your hands, and you won’t need to waste any product on a cotton pad either. Priced at C$325 for 150mL, it is one of the more affordable Skin Caviar products, and is a great entry-level La Prairie product for anyone wanting to experiment with the brand. Lastly, we have the White Caviar Illuminating Pearl Infusion. This is a brightening serum as part of the White Caviar line, meant to give you a bright, luminous complexion. 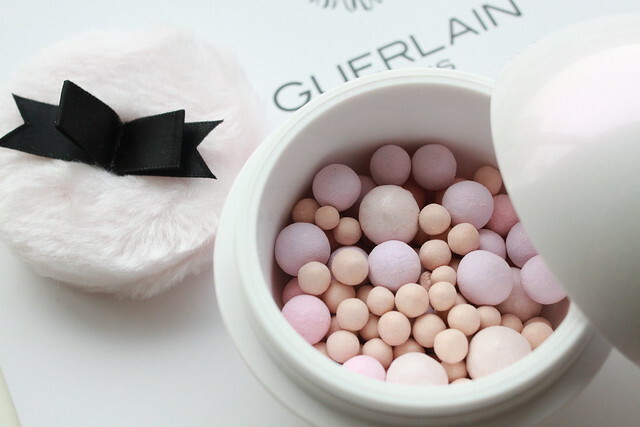 It contains stabilized vitamin C encapsulated in pearls to keep the product from oxidizing. Once you pump it out on your hand, the pearls dissipate, releasing the active ingredients within. If you apply this and then wait a few minutes before applying the rest of your skincare, the Pearl Infusion will create an invisible veil which will also help to protect your skin against pollution and environmental aggressors. Living in the big city, this is definitely a must-have function. It is priced at C$680 and you get 30mL of product. 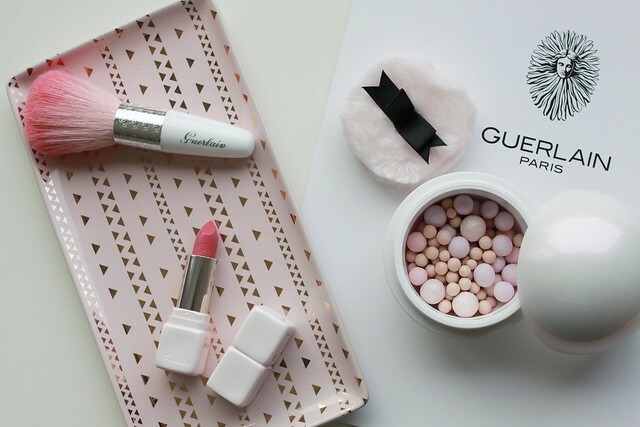 In Canada, you can purchase all of these products from Holt Renfrew. Coincidentally, I was in New York just the week after La Prairie had re-opened their new counter space at Bloomingdales at 59th and Lexington. This new counter, named “the Penthouse,” has 530 square feet of retail space, including a 95 square feet facial room. The space is GORGEOUS, super modern, with lots of space to browse products. The counter also offers complimentary services, such as a 10 minute hand and arm massage (I had this service and it was such a nice treat after a long week of walking around the city), eye refresher massage (the boyfriend had this done and he said it was super nice), quickie mask, makeup touch up, and more. 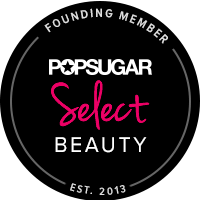 Exclusive to this counter, you can also get a complimentary 60-minute Skin Caviar facial, which includes treatments using the brand’s Skin Caviar products. If you are a La Prairie newbie and are interested in the products, a facial is a wonderful way to familiarize yourself with which products might work best for your skin. I received a bottle of Skin Caviar Essence-in-Lotion as a gift from PR during my visit to their office, all opinions are my own.